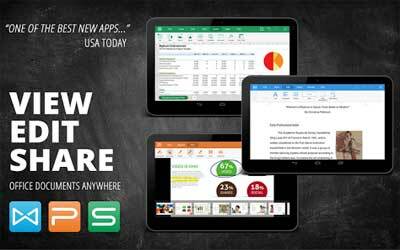 This is old version WPS Office + PDF 9.8.2 apk for Android, you can install it if you want to downgrade or install old app. It is top Productivity apps from Kingsoft Office Software Corporation Limited. All the element and features are fully constructed for mobile usage in android smartphones. If you are away from your PC, you can still open up your important document from the Google Drive, OneDrive, Dropbox and so on. Document sharing is also make every job are easier. It is one of the features from the app that is very beneficial. You can use Wi-Fi, NFC and DLNA as the connectivity. Using the USB and Bluetooth Keyboards will also be available for this app. It makes your tablet and phone is becoming the portable PC. It is also functioned well when you want to have fast printing from mobile. Printing the PDF files will also be very possible. With all the versatility of the WPS Office for Android, the developments make this app to be supported with 50 different languages. The smallest sized Office Suite on Android (less than 25MB)! Full support for wireless printing including PDF printing!